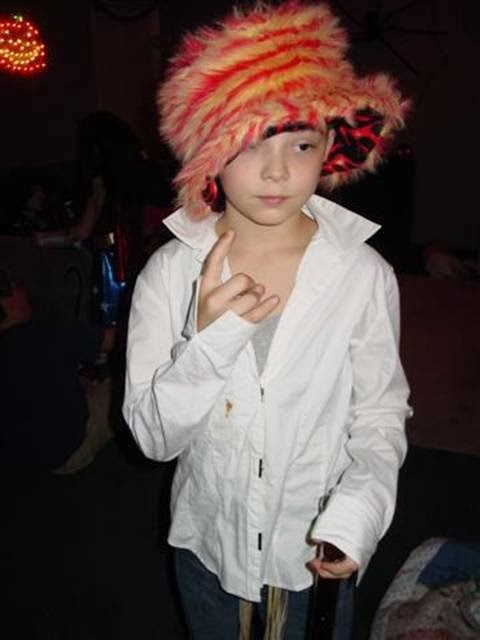 This has to be one of my most favorite Halloween costumes from my childhood! 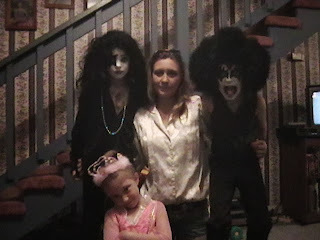 Yep- me and some of my Barrelassin' cousins were Giant Kooky Spooks. 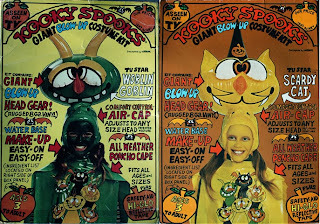 I don't know what a Kooky Spook is- but it was fantastic!. 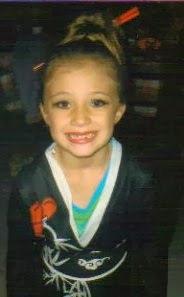 I can still remember the smell of the face paint and the blow up head. 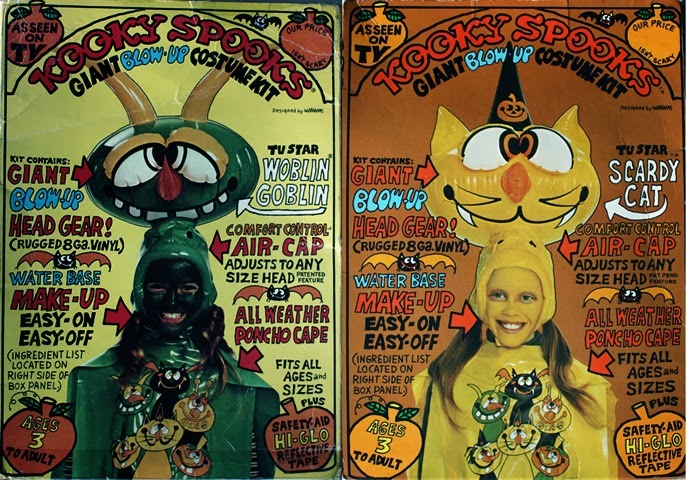 I know I wasn't more than five years old and it's still the costume that stands out in my mind the most. This is my silly Pimp. My kids have a mind of their own. Let's just say I should be thankful that he's far too busy with his homies to be reading this right now. 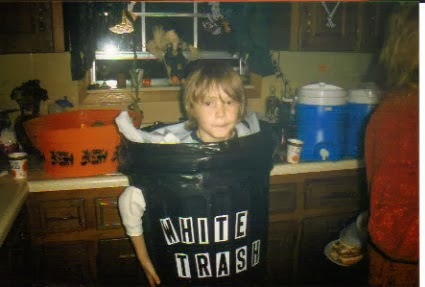 Yes- my Barrelassin' son went as White Trash for Halloween one year. If you tell me you want to be "white trash" for Halloween- I will buy you a trash can and pile trash around you. I'm a good mommy. 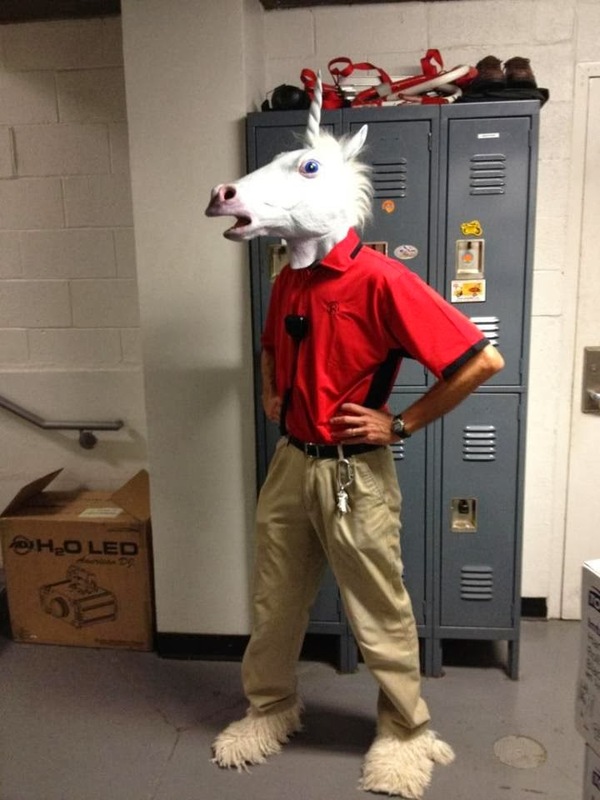 Who says Unicorns aren't real? 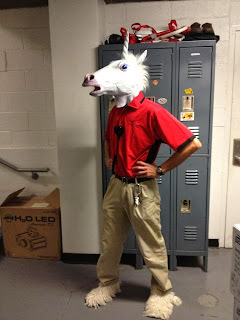 I've always know that my Barrelassin' hubby was magical. This was a fun Halloween at my mom's house. She is not only a Good Witch- she's a great Witch! 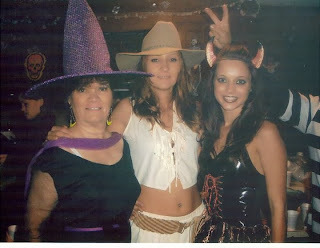 My Barrelassin' sister is the cutie next to me, the Cowgirl. As far as the two fingers photo bombing the photo, I can't give them credit, because I don't know who they are- but they're rockin' it!